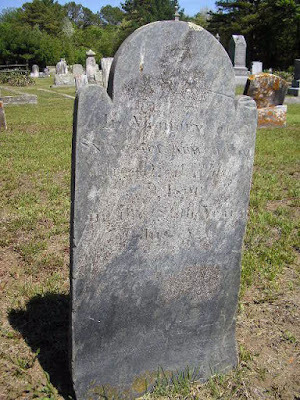 Sylvester Kenyon (1710-1800) is #380 on my Ahnentafel List, my 6th great-grandfather, who married #381 Anna Barbara (1717-after 1800) in 1740 in Rhode Island. * their son #190 John Kenyon (1741-1831), who married #191 Ann Kenyon (1746-1824) in 1764. * their daughter #95 Nancy Kenyon (1765-1833) who married #94 Joseph Champlin (1757-1850) in 1785. Sylvester Kenyon was born on 7 April 1710 in North Kingstown, Rhode Island, the son of John and Elizabeth (Reminton) Kenyon [1-3]. Sylvester Kenyon was made a freeman of Charlestown, RI 1739[1,3]. * Giles Kenyon (about 1740 - ???? ), married 1760 to Priscilla Briggs (1741-????). * Sylvester Kenyon (1741-1839), married 1760 to Sarah Kenyon (1742-????). * John Kenyon (1742-1831), married 1764 Ann Kenyon (1742-1824). He was appointed guardian to his nephew, Christopher Kenyon on 7 March 1747. He took Simeon Kenyon, son of Thomas Kenyon, deceased of Charlestown, as an apprentice on 6 April 1778. Sylvester was a justice of the peace in Richmond from 1753 to 1760 and in 1763, 1764, and 1767. He owned land in Richmond, which he disposed of during his lifetime. He deeded land in Richmond to his son Giles Kenyon of Richmond, yeoman for love, dated and acknowledged 31 May 1764. He also deeded land in Richmond to son John of Portsmouth and son Sylvester Jr. in 1766. In the 1777 Military Census for Rhode Island, he was enumerated in Richmond. After 1777, Sylvester, his wife Anna and several of his children moved from Richmond, Rhode Island to Voluntown, Connecticut and acquired substantial land holdings in and around the Oneco district (now Sterling, Connecticut). On 4 September 1784, Sylvester Kenyon gave 70 acres to son Moses in Voluntown for love and affection. Sylvester Kenyon died on 9 May 1800 in Sterling and is buried in Riverside Cemetery there[1,3,5]. Son Moses Kenyon administered the intestate estate in Sterling, in which the widow Anna shared. 1. Captain Howard N. Kenyon, American Kenyons : History of Kenyons and English connections of American Kenyons, genealogy of the American Kenyons of Rhode Island, miscellaneous Kenyon material (Rutland, Vt. : Tuttle Company, 1935), page 115, Sylvester Kenyon sketch. 2. "Rhode Island, Vital Records Extracts, 1636-1899," indexed database and digital image, Ancestry.com (http://www.ancestry.com), Volume 5, "Washington County Births, Marriages, Deaths," North Kingstown Births, page 84 (image 93 of 523), Sylvester Kenyon birth entry. 3. Anne Borden Harding (editor), Mayflower families Through Five Generations : Volume 3: George Soule (Plymouth, MA : General Society of Mayflower Descendants, 1980), page 93, Anna Barber sketch. 4. Nellie M.C. Beaman, "Abstracts of Richmond Land Evidence, Volume 2, 1758-1771," Rhode Island Genealogical Register, Volume 6, Number 3, (January 1784)., Volume 6, Number 3 (January 1784), Sylvester Kenyon to Giles Kenyon. 5. Find A Grave, indexed database and digital image, (http://www.findagrave.com), Riverside Cemetery, Sterling, Conn., Sylvester Kenyon memorial #39314115. 6. "Rhode Island Census, 1774," indexed database, Ancestry.com (http://www.ancestry.com), Sylvester Kinyon entry. 7. " Rhode Island Compiled Census and Census Substitute Index, 1740-1890"" indexed database, Ancestry.com (http://www.ancestry.com), 1777 Military Census, Sylvester Kinyon entry.